Students who aim for a degree in international relations at St. Cloud State University examine the interaction of public and private actors on a global stage. You'll study how those intersections impact international security, conflict and conflict resolution, reconstruction, governance, environmental sustainability and the political economy. You will learn to look and think globally. On campus, in internships and in study abroad opportunities, you will find a variety of chances to engage in study, discussions and actions that impact the future of the community, the nation and the world. Honors Program provides opportunity for an independent senior honors project to students who have a 3.5 political science grade point average (GPA) and 3.25 coursework GPA. Fulbright-distinguished faculty focused on international studies, human rights, conflict and conflict resolution have experience teaching in Europe and Asia. Practical experience in congressional offices, political campaigns or various national, state and local agencies that often leads to permanent positions. Study trips to the United Nations and U.N. permanent missions in New York City; opportunity to participate in the Arrowhead Model United Nations Conference. 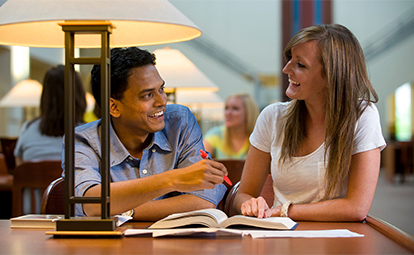 An international relations minor that complements a wide array of other academic disciplines.